Can we give a big shout out to Aunt Toby of Kitchen Counter Economics? For real! Her suggestion of using ‘diatomaceous earth’ (d/earth) was brilliant. It never even occured to me that I could clean leather at home. I ordered some post haste on Monday. It arrived tonight and I couldn’t resist trying it out. I did what she said and sprinkled the d/earth on the fur. Instead of a brush, I did use my vacuum attachment to remove the d/earth. How did it work? 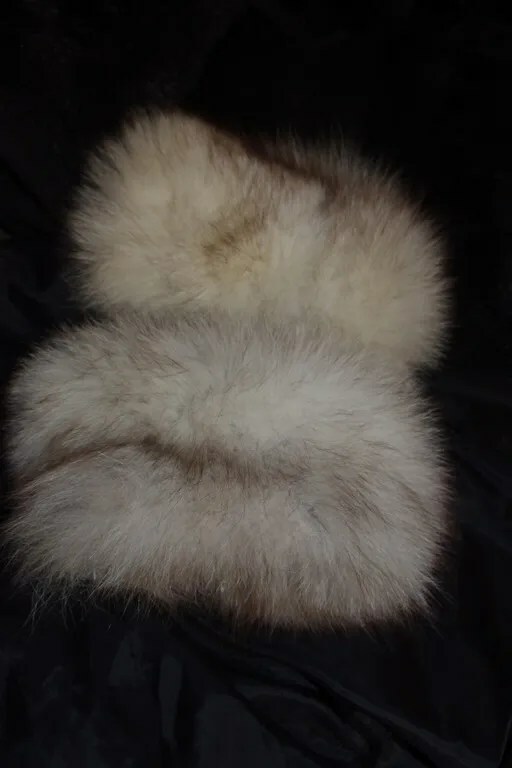 Well, let me first say that it didn’t occur to me the fur itself was dirty. Just the coat. So, I wasn’t expecting much. Here is one cuff treated with the d/earth and the other untreated. Can you tell which is which? Yeah. Subtle but significant difference! 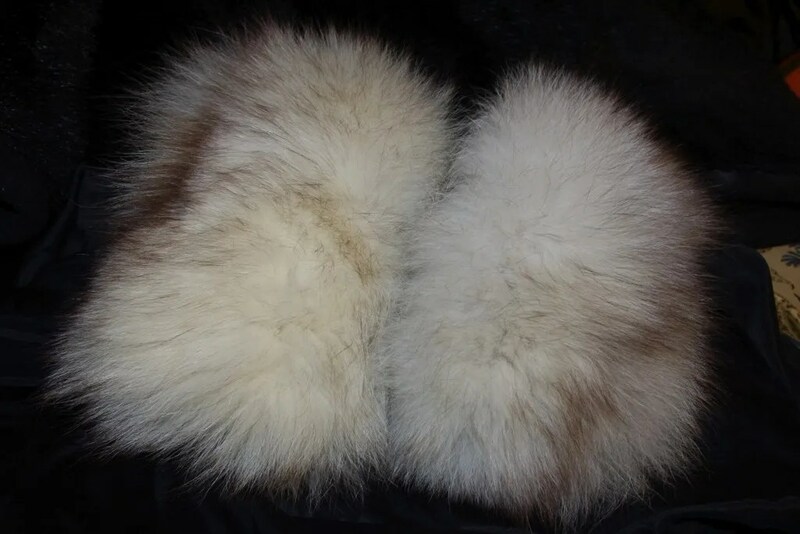 On the left is the non treated fur — yellowish tint. I didn’t notice that when I bought the coat. Now, it’s more of a soft gray. There are still some yellow spots in them, but not overall as it appears here! So, YAY to the internet and people smarter than me! I’m sure this would work just as well (and cheaper) than corn starch. I am on the lookout now for a little collar for this cape… the cape that I have GOTS to sew on Friday before Sunday’s ride. OK friends. Thursday is the LAST day of voting for the Mobbies. I’ve been knocked out of the Best Overall blog by a ‘mommy blogger’. A funny mommy blogger with a book deal and over 150k twitter fans. This is my last chance to surge to the top, LOL!! Wouldn’t it be cool if the best blog in Maryland went to a sewist? I mean, lots of people are moms. How many people can sew? I kid. A little. I’m nominated in Personal, DIY and Lifestyle. And, at the end you can also add a vote for Best Overall. Wow, I need to get some of this stuff! Loving the look of your cape also, a gorgeous color on you. Glad to learn of another use for diatomaceous earth. I keep a supply of the food-grade type that will keep fleas and ticks off my dog, and when put regularly in his food, will deworm him, too. I got rid of backyard ants without harming my pooch or the birds that entertain us. I use it in my garden, too. I am amazed that it is as useful as it is in cleaning fur! My fingers are crossed for you, I voted today and I’ve voted everyday 🙂 Did you read ‘Tuesdays with Morrie’? At a basketball game Morrie began shouting, ‘what’s wrong with being #2?’ I love that thought. D/earth did a swell job with cleaning. Glad to hear you found such good solutions to dodge and expensive cleaning job. The difference is quite startling in photos! You did a great job on that fur! 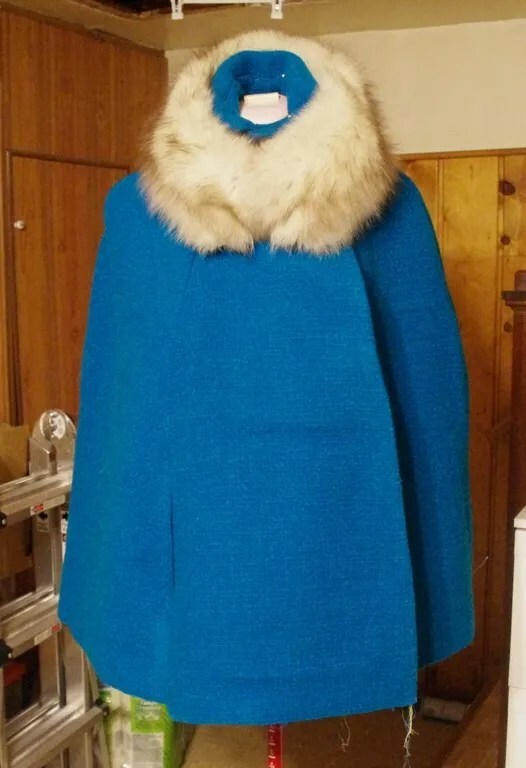 The coat looks great, the fur really stands out after the cleaning! DE is pretty useful stuff, we use in the garden too and in our chicken coop. Did you get food grade? The garden or pool grade has chemical additives that you might not want to breath in. Food grade is pure DE nothing else.